Woodworking is actually not as hard as it sounds, and with the right type of wood and a little bit of planning, you can actually construct something like a shed in just one weekend. It is impossible to build the house with your own hands. But a shed can easily be given your personal touch as it is easy to build and easier to design. 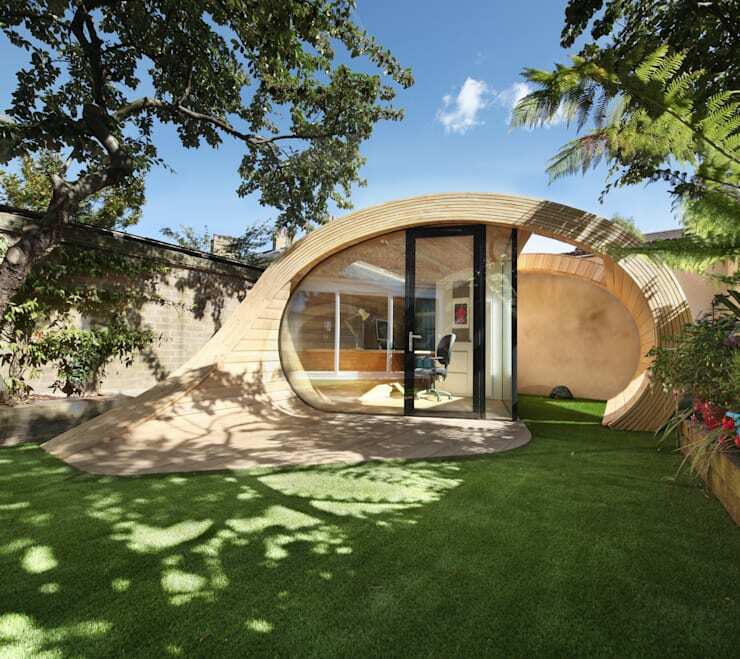 The shed can be designed from scratch depending on your taste and budget. You can choose from the variety of roofing, flooring and designing options. All of these can be selected as per the usage of the place. After designing the basic framework, its time to embellish the place. Installing doors and windows, colouring and even doing modern wall decorations and designs can do this. 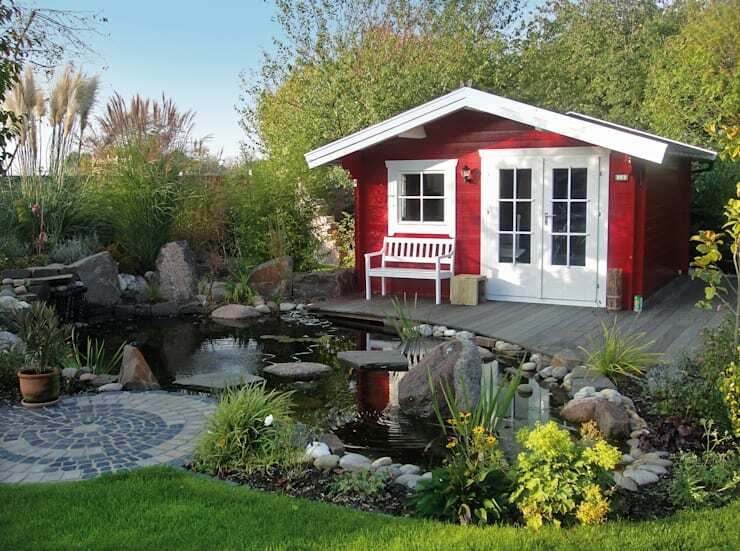 Read through this idea book to know more about a shed design and the steps associated with it. The first thing that needs to be done before starting the shed design is finalizing of a place. Choose a place for building the shed. Make sure this place is not in the forefront. 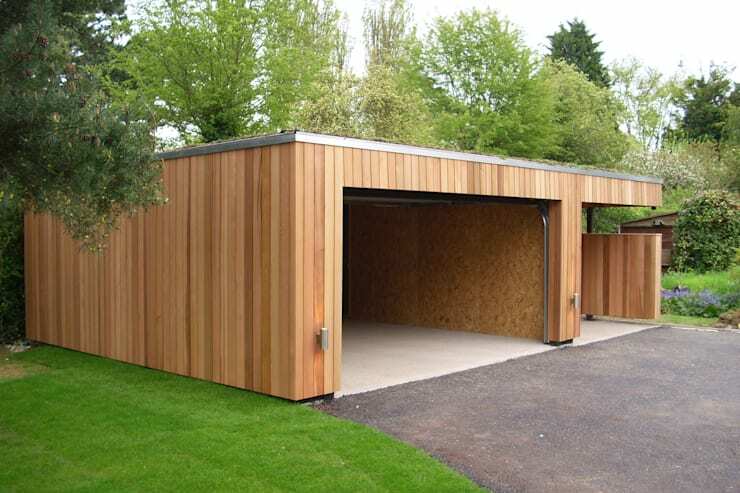 If building a garage shed, try going in for an open area that is not covered with trees. Also, the size and shape of the shed depends on the utility. If using the shed for just dumping old stuff, you may go for any shape possible. But if suing it for an additional personal space, you need to make it spacious and functional. Also in case you are planning to club the garage and the shed, you might as well opt for a huge space, as you will be parking your vehicle inside. 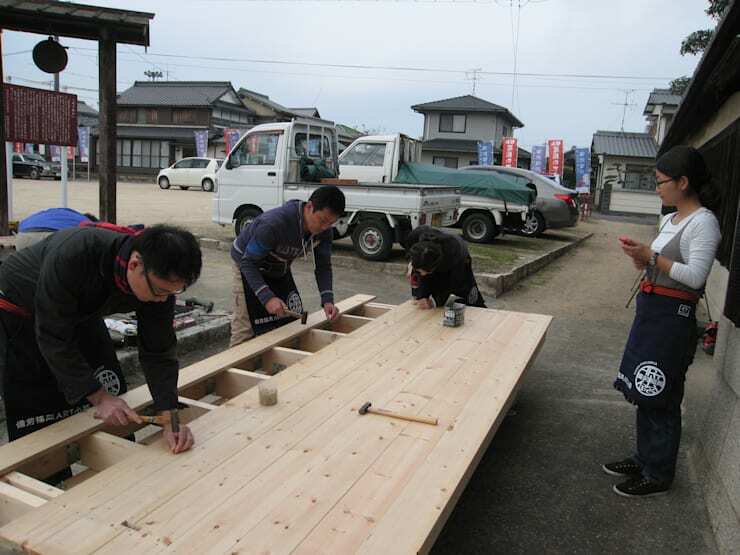 After finalising the foundation and floor frame, its time to construct the frame for walls and roof. Both these frames go hand in hand as shape of the roof is highly dependant on the size of the walls. So, to start building the frame for walls, work from the bottom to the top. You need to first finalise the shape of the roof and then accordingly decide the spacing between the walls. The frame should have enough spacing in between to put the sheets and the boards. 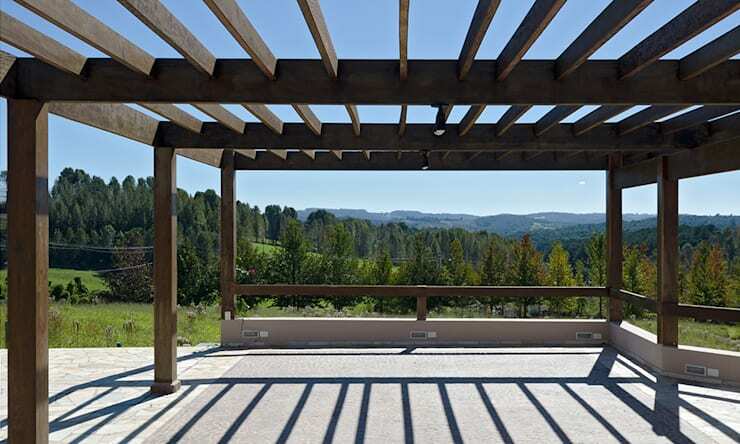 Decide the type of roofing before designing the frame. This will help you create a better frame, which will later prove to be highly convenient during roof setting and placement. In the wall frame, make enough space for windows and doors. The next thing that needs to be done after building the frame for walls and roof is the placement of gable overhangs. The gable overhangs are installed to hold the roof in place. 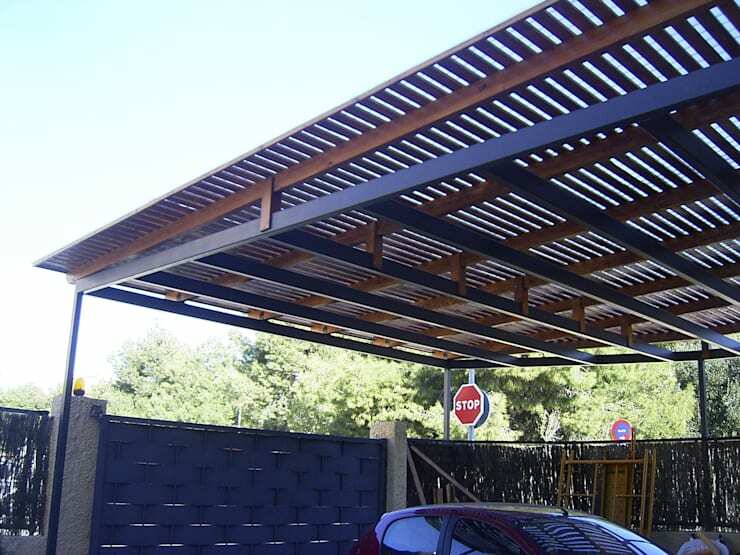 These tough and sturdy wooden structures play a highly imperative role in the shed design. Not only they hold the roof together they also provide a keen and cautious view from the inside. Earlier the overhangs were available only in wood to match the overall wooden décor. But with the latest advent of times, these have also been made in high grade metal. This is because metal looks supremely classy and modern against the glass windows. The next thing that comes after flooring and walls is the roof. A shed can be given many kinds of roofing. Some of them include fascia, sheathing or even simple roofing. Roofing generally is done suing metallic sheets that can cover the whole upper part of the shed. The sheets can be easily laid over the overhangs, which hold them tight and secure. These sheets can be easily drilled inside the overhangs to give a permanent and secure fit. They are available in a variety of colours, which can be chosen according to the shed décor. 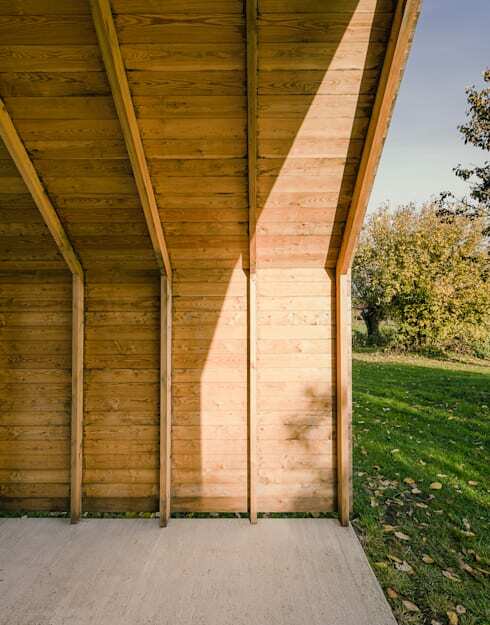 Fascia comes in the form of boards that give your shed a wooden feeling. These wooden boards can be easily trimmed and installed in the given area. They look extremely beautiful in a garden shed flanked by the green trees on both sides. You may as well opt for thatched roofs for a WOW factor. It is time to install the soffits or siding now. After installing all the basic wooden structures and the roofing, lets install the soffits now. These are basically the side blinkers that hold all the structure together. They look beautiful on all wooden structures and even on stone structure. Soffits are important to give a full and complete feeling to the shed. There are many different kinds of soffits available. While some need to be laminated like the wallpaper, other need to be fitted using the nails and screws. You can choose the best according to the overall décor of the shed. You may even paint the soffits to make it blend in the complete shed structure. Now that the walls, flooring and roofing are done, it’s time to build the doors. The design of the door depends on the usage of the shed. In case you have built the shed for a garage’s purpose as well, the doors should be designed as per the size of the vehicle. But in case your shed is designed only for spending some good solitary time, then you may as well opt for glass doors or even glass sliding doors that make you develop yourself in the company of natural light. The doors can be attached in any form possible. Sliding doors, hinged doors, wooden doors and even shutter doors can be installed as per the usage. The picture shown above has been taken from the project Pretty Log Cabin designed by architects Garden Affairs Ltd.
Now, after everything is done, it is time to install the windows. Windows make the shed design complete. As the shed is also a personal space to spend a good quality time with your favourite hobbies like music, dance or even for reading, this place is just perfect and thus needs to be embellished like a room. Once you have installed the windows and window frames, you might as well go with curtains and blinders as per use. Try going for brighter wooden borders in case you are going for casement windows, this will give your shed a much brighter look. You might as well try to opt for trendy vinyl stickers on windows to give the shed a personalised feel.